What to consider before you start a business education. Four years ago, I hatched a plan to do my own “MBA” composed of free university courses (what I called a No-Pay MBA). At that time, MOOCs were just becoming more widely known, and many famous business schools were introducing new courses. I didn’t yet know how to calculate the financial value of an investment of time and money into a traditional MBA program (I would learn it later, in my first finance course), nor did I know how to compare that expected return with the value I hoped to reap from my DIY business education. I did, however, have an intuitive sense that a fully featured, prestigious MBA with all the bells and whistles (and all the debt) wouldn’t serve me as well as a more stripped down business education, designed and administered by me. That hunch turned out to be right, but interestingly, it is only with the benefit of hindsight that I can fully account for the ways in which my decision not to pay for a regular MBA was a good one. The funny thing about trying to value an investment is that it always involves a bit of guesswork. You can calculate the net present value of an expected cash flow, but you can’t always predict with 100% accuracy whether said cash will trickle or gush. Even more importantly, while your quantitative classes will teach you to calculate return in dollars, for a big life decision like getting an MBA the money side is only one dimension of return. “Is an MBA worth doing?” is a bigger question than “Is an MBA a good financial investment?” Interestingly, even the Graduate Management Admissions Council, which publishes an annual report on the perspectives of MBA alums, doesn’t just focus on financial return but also asks whether graduates found the MBA professionally and personally rewarding. 1. In 2015, I got a $20,000 raise and moved into a new position in my current industry (international development). That alone would have made my modest investment “worth it” from a financial perspective. 2. In 2016, I got a book deal to write a book about how other people could get their own self-administered “MBAs”. That book was released this month. While the financial payoff from the book remains to be seen, I found writing a book extremely rewarding and enjoyable. Professionally, there are few honors more prestigious than being asked to write a book. That mark of expertise can’t be bought. It can only be earned. The raise alone would have made my modest investment “worth it” from a financial perspective. 3. In 2017, I gave birth to twins and quit working. I expect to be a stay at home mom/author for at least the next year, maybe more. Being home with my children is the most rewarding job I have ever done. It was possible financially only because I don’t have any student loans to service. And who knows what 2018 will bring. 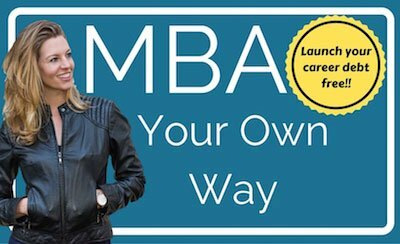 So, looking back on my decision to skip the traditional MBA and go my own route, would I have done it all again? Yes, Yes, and YES!! Though interestingly, only one of these outcomes - the first - was in my original calculation of the return of an MBA. 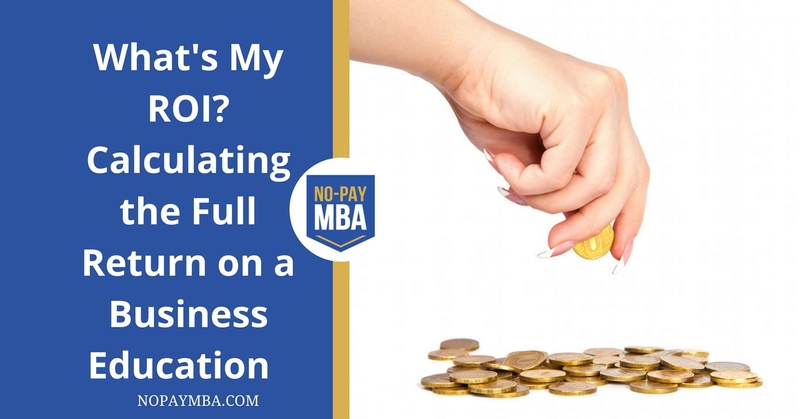 What return DON’T you want from your MBA? Calculating your personal return requires using your imagination to envision what your life will be like with an MBA, but it should also include imagining a range of possible outcomes and worst case scenarios. 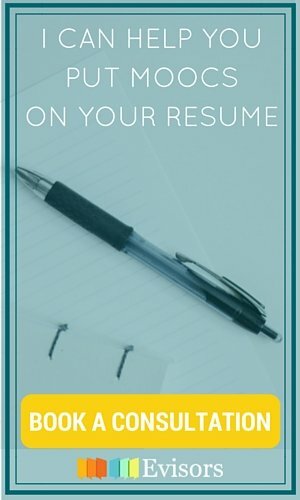 You have probably already asked yourself questions such as, How much money will I make in my first job out of the MBA? And, what industry do I plan to work in? However, you may not have considered the negative case, i.e. What do I NOT want from my MBA? 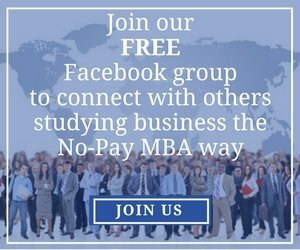 What do I NOT want from my MBA? For example, a few of the things I DIDN’T want from an MBA included working 80 hour weeks, moving for a job, working in finance or management consulting, or ending up being a stay at home mom with MBA debt. Not wanting those things influenced my decision to create my own business education rather than getting a traditional MBA. As the adviser to independent business students, I encourage you to ask yourself these questions before you decide to get an MBA. These questions apply to all potential MBA candidates, and they aren’t the ones that are usually found on business schools’ websites. How might my options be constrained by going into debt or spending my life savings? What if I score my dream job, only to find that I don’t love the work? What dreams are out of reach if I forego a traditional MBA? Am I sure those dreams are out of reach? How do I know? If you end up with some doubts, do yourself a favor and fully explore the possibility of designing your own MBA program. 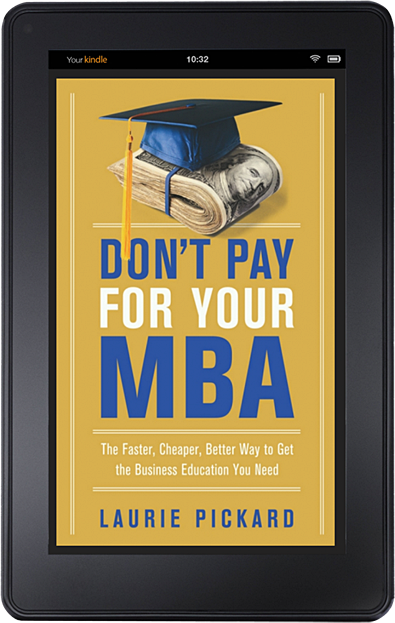 The resources on this site are designed to help you do just that, as is my new book Don’t Pay For Your MBA.